One of the easiest D.I.Y projects one can undertake in their back garden or backyard is installing a pond pump for their aquatic friends. 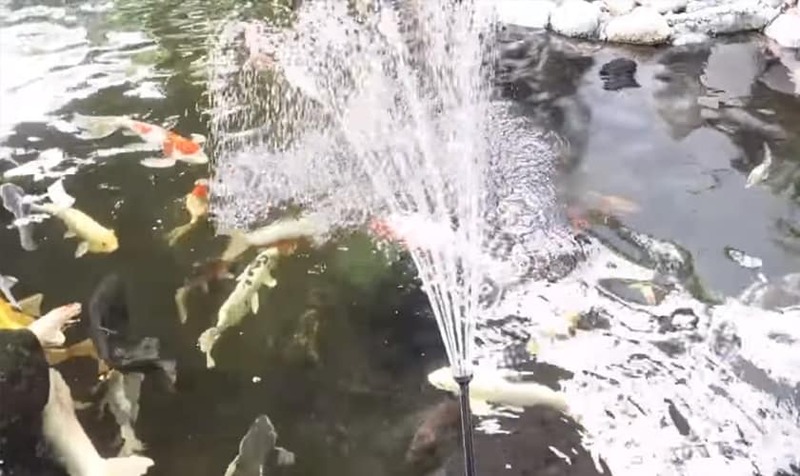 Having a pond pump not only makes your lovely garden look spectacular, but it also extends the life of your fish because it gets rid of debris and other small particles from your pond. 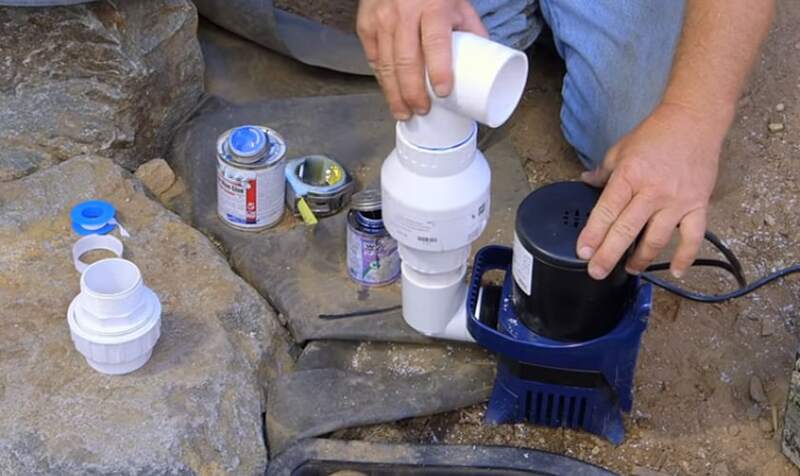 This article will highlight a series of steps on how to install a pond pump all on your own without splashing the cash on a professional. It is really easy and fun as long as you follow the step by step guide below religiously. Installing something that has complex instructions can be stressful and tiring at the same but the guide below does a wonderful job in breaking down each step with remarkable detail making it very easy to understand even if you are not a DIY expert. Before you even begin installing a pond pump, you have to make sure that it is the right size. The one mistake that many people make is choosing the wrong pond pump that does not fit in well with the size of the pond they have at home in their garden or backyard. If you are not clear on the size of the pump you need, try to get some measurements of your pond and take them to the store. Speaking to an expert in the store will help you pick the right pond pump that will fit your pond like a glove or if the internet is where you want to buy your pond pump, most websites have an online chat which allows you to speak to someone who will advise you on the best choice. It is very important that you don't pick a pond pump blindly because picking one that is too big for your pond means wasted money as it will not fit and picking one that is too small means it will not clean properly. Always make sure you make the right choice when it comes to choosing from the many pond pumps sold on the market. You have to check your surroundings and make sure that you have easy access to a power socket or outlet. This will make it easy for you to plug in the cable of the pond pump to the power socket so that it is operational. Once you see and notice that there is a socket in reach, you can go ahead and attach the feet of the pond pump at the bottom of the pond. What this does is it makes sure that the pump stays in one place and does not move around at the bottom which can cause harm to your fish if you have any. When the pump is secure at the bottom, you have to screw the connector which is found in the fountain kit on the top of your pump. You have to pick a really good spot in your pond to put the pump and make sure that it is stable and clean. You also have to make sure that where you put the pup, it is easily accessible in case the filter needs clean which you have to do on a regular basis. Always make sure that the pump is sitting at the right height and if you notice that it is too deep in the pond, you can use a brick to give it some height. When your water pump for pond is securely inside your pond and at a height, you are happy with, it is time to test the water flow rate. You can adjust the water flow rate if you see that it is too high or if you bought a kit that comes with nozzles, you can attach them to the pump to get the flow rate you desire. Not only does this add a professional touch to your work, this is also for your own safety and those around you as well. You can cover or hide the cord by digging a shallow trench in the ground, inserting it in there and cover it up again. It really is simple and straightforward or you can also use some ornamental rock if you have them lying around your pond. If you took your fish and plants out to install the pump, it is time to put them back because a pond pump will not look beautiful on its own without any plants and fish. Let your lovely creature enjoy the pond knowing that they will have fresh water all the time as the pond pump will eliminate any debris and waste in their environment. Installing something all by yourself like a pond pump without professional help can be very satisfying and fun especially if you have well detailed instructions guiding you every step of the way. If you follow this guide religiously, you will no doubt install a pond pump in your garden with ease without needing to hire someone to do it for you which can be costly, however, one of the most important things to note is safety. Your safety is very important and that is why a pair of scissors, a pair of gloves, a fountain kit and a pump were highlighted earlier on as the main tools you need for your project to succeed without any hiccups.